David Papen, President of Ecologic Modulars, has a passion for building houses with efficient size and design. He knows and shows, from over 30 years of experience in the housing production facility industry that anyone can have their own dwelling, big or tiny. 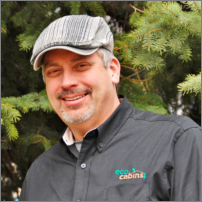 David has literally built thousands of houses of all sizes and styles, and is most excited about the simple and efficient craftsman quality and designs that come with the tiny house movement.